Throughout history, people have been intrigued by legends of societies where residents thrived well past 100 years old. Japanese rank high in lifespan studies, but Okinawans boast exceptional health. Inhabiting a tiny island in the East China Sea, locals have low rates of alzheimers, heart disease, and breast cancer, with 80% fewer cases of heart attacks and cancer than Americans. The Okinawa diet has been studied intensely. Staples include fresh island fruits like pineapple and shikuwasa, bitter melon, sweet potato, seaweed, tofu, tea, green leafy vegetables, pork, and fish. 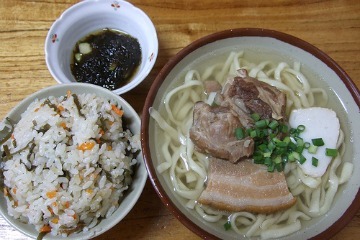 Locals also follow the cultural tradition of hara hachi bu, or eating only until 80% full. The elderly are active, working on farms and exercising for leisure. Many live independent of nursing homes and daily connect with community. Situated between Spain and France, this small principality of 84,000 people has one of the longest life expectancies in world. Residents enjoy good water, a top-notch health care system, and Mediterranean diet. 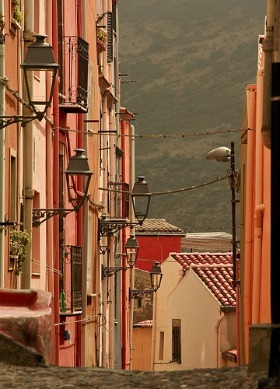 It is believed that stress levels are low due to Andorra’s remarkable social stability. There has been no standing army there for 700 years, and the region currently boasts full employment. Seniors take full advantage of public leisure centers, enrolling in art lessons and recreation classes. Today people living on Ikaria, a mountainous Greek isle in the Aegean, reach the age of 90 at 4 times the rate of the average American. Their fitness is attributed to their activity level and unhurried lifestyle. Naps are taken regularly as locals have a laid back concept of time. The diet is low in meat, fish, and sugar and high in whole grains, potatoes, and green vegetables. People also regularly consume goat milk and herbal teas over their lifetime. For the 75,000 people who live in the Nicoya Peninsula, modern life closely resembles that of a century ago. Residents maintain solid relationships, eat a plant-based diet, and recognize active work as essential to quality of life. Many residents are sabaneros (cowboys who work on ranches) and small farmers. It’s not uncommon for food to be cooked on wood-burning stoves. Locals eat a “Mesoamerican Trifecta” diet, consisting of corn tortillas, beans, and squash. The water supply is high in minerals that increase bone health. Because of the dry sunny climate, locals suffer from few respiratory diseases and get plenty of Vitamin D.
Surrounded by the Himalayas in Northeast Pakistan, the Hunza Valley was historically thought to be the mythical Shangri La. 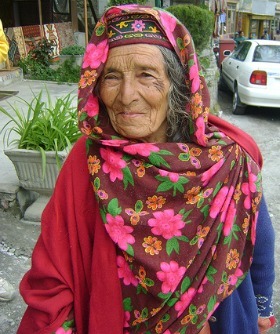 There is no evidence that residents live to 150 years old as claimed in the 1970s, but modern research supports that Hunza elderly boast enviable fitness levels. The diet is plant based, consisting mainly of wheat and barley and antioxidant fruits like cherries and plums. The rough terrain encourages high activity level among residents, leading to increased agility in old age. Residents are also known to have very positive outlooks on life and strong family ties. Vilcambamba is often referred to as the “Valley of Longevity” for its remote location and lifespan of residents. Beginning in the 1950s, locals have been studied for their low rates of chronic illness and claims of living to 120. Although researchers debunked some claims as exaggerations, they concede that the activity level and diet of residents does offer them extraordinary health. Seniors commonly work on ranches, performing manual tasks and riding horses. They eat almost no animal products and rely on fresh organic vegetables with medicinal properties. Their fresh water from nearby mountains has high concentration of healthy minerals. The cuisine consists of raw milk and cheese, fresh vegetables, and small amounts of lamb, pork, and oily fish. Residents are family oriented and very active well into old age. Some research on Sardinian longevity links it to genetics. Few Sardinians marry outsiders and there appears to be a genetic basis for men suffering fewer cases of heart disease and stroke. Almost 100,000 people live in the mountainous region of Abkhasia, a breakaway region of Georgia. Locals have been studied with interest for their fantastic claims of lifespans reaching 150 years old. Although researchers cast doubt on those figures, they concede that elderly suffer low rates of disease and enjoy high quality of life. The Abkhasian diet consists of locally grown vegetables, beans, and grains, moderate vodka intake, and low meat, fish, and sugar consumption. They have extensive family networks believed to reduce stress, and status is conferred by age, rather than wealth or achievement. In addition, culturally, locals believe events derive from their own actions, rather than outside forces. In this way, they feel greater control over the lives. Although not identified as Blue Zones per se, Macau and San Marino, Italy also rank high on longevity estimates around the world. Macanese live on average to 84.38 years, one of the longest expectancies in the world. Although not studied extensively, features of this unique former Portuguese colony stand out to researchers. The diet is plant and seafood based, drawing on cuisine traditions of China and Portugal. The city is relatively wealthy, given its status as the newest gambling capitol of the world. Social welfare programs are well funded, giving residents many recreation opportunities. Health care is a priority with dozens of western and Chinese medical centers and a doctor density of 1.5 doctors per thousand people. San Marino is a rugged tiny republic situated in the Apennine Mountains within the boundaries of Italy. Studies report that the average male in this region lives to age 81. Employment rates are high and the standard of living averages $32,000 US per year. It is believed that stress levels are low here because of little economic social division, low divorce rates, and high integration of elders into society. Seniors often live with younger family members rather than nursing homes or hospitals. This list of regions with high average lifespan is certainly not exhaustive. Depending on the study, others areas (and countries as a whole rank) high in longevity rates. Other notable places in CIA 2010 assessments include Monaco, the UK’s Guernsey Channel Islands, Singapore, Hong Kong, Australia, Sweden, Switzerland, and Canada. While it may not be realistic to live the rest of your days in a Blue Zone, it is certainly possible to adapt the healthy habits of their residents into your lifestyle in whatever country you’re living in.